As part of our #WasteDialog around the 2017 Global Dialogue On Waste, we are publishing Q&A from organizations that featured in our Waste Pioneers list. This Q&A is with Food Recovery Network. Food Recovery Network (FRN) believes that food recovery — the process of donating surplus food rather than sending it to landfills — is a simple, effective, and sustainable solution to broader environmental and social problems. 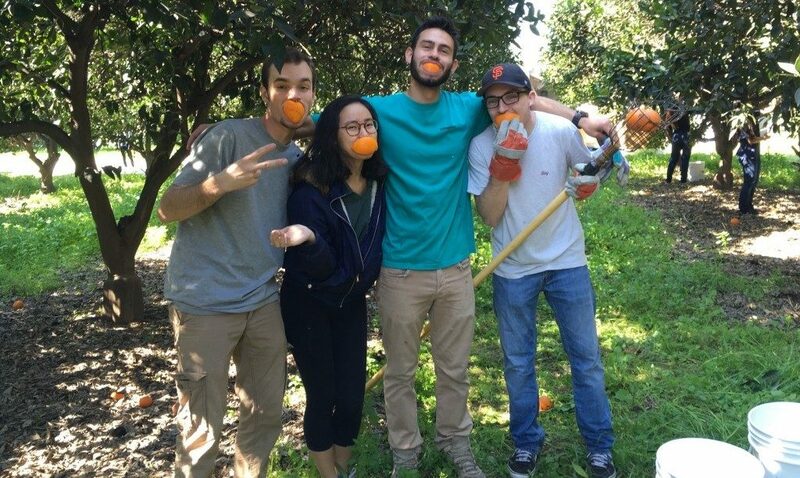 Food Recovery Network works to unite student leaders on college campuses to fight food waste and hunger by recovering surplus food that would otherwise go to waste and donating it to partner agencies like homeless shelters, soup kitchens, and food pantries. 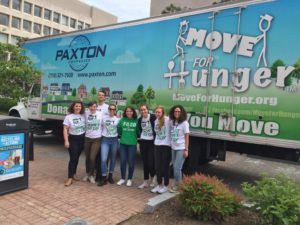 In just six years, FRN has grown to be the largest student movement against food waste and hunger in the country, with 230 chapters in 44 states and DC that have donated over two million pounds of food. FRN envisions a nation where food recovery is the norm, not the exception. What isn’t always communicated about waste is that college students themselves are too often affected by food insecurity — and our communities produce enough food to feed those most in need, and then some. According to a 2016 “Hunger on Campus” survey of college students, 48 percent of respondents reported food insecurity in the previous 30 days, and 22 percent of these students experienced such low levels of food security that they qualified as hungry. These statistics are even more drastic on community college campuses, where 25 percent of students qualified as having very low food security. Not only are these statistics that we can do something about, these stats are also people we see everyday whom we can feed and support during difficult times. From what we’ve seen and heard from our chapters across the country, students are becoming more and more concerned about food insecurity on their own campuses. Many of our FRN chapters are designing and implementing proactive and creative approaches to address student hunger in their communities, whether it’s through on-campus student food pantries or providing much-needed cooking supplies to students in need. They’re also collaborating with several established groups on their campuses addressing the issue of student food insecurity. So, while our students are leading the charge against food waste and hunger in incredible and inspiring ways, it’s also important to realize that college students are also struggling with food insecurity. Oh, and by the way, those two schools I mentioned together have recovered and donated over 9,000 pounds of food to their local communities. As the largest student movement against food waste and hunger in the country, we’re always looking for ways to stay at the forefront of these issues. As time flows, the problems of waste and hunger change in how they are manifested. That change demands that FRN be two steps ahead and flexible to combat these two complex issues. FRN is a pioneer in the fight to reduce food waste at the source and to ensure that when there is surplus food, a system is established and maintained in order that the food goes to those who need it most. Our network is constantly sharing new ideas and creating innovative solutions to these prevalent problems. We have student leaders at 230 chapters in 44 states and D.C.– thousands & thousands of students helping us to understand trends and critical issues across the country and always moving us forward. FRN’s model offers a national backing to supporting local solutions to food issues that affect people in every corner of the country. We understand that we can’t tackle this widespread issue with a one-size-fits-all approach, but the model we’ve developed has proven immensely successful over the years. Our dedicated national team works to support all of our student leaders as they execute the steps to establish a food recovery program on campus, including comprehensive food safety training. Food waste and hunger look different in every community and so, by necessity, food recoveries operate differently too. This could mean delivering surplus food via bicycle in Costa Mesa, California or gleaning produce from farmers markets in Houston, Texas. We’re constantly gathering large amounts of information from our students and turning that information into something useful to our students. We have to develop lots of resources for our students to ensure they can keep evolving and reaching more ambitious goals. It take a lot of work, but having a diffuse program model demands this, and at the national office, we love it. We’re passionate about what we do, and we have a very high standard of work we maintain for our students. Are there any recent campaigns from Food Recovery Network that you would like to share details of? We’re always working on something new at FRN. This past May, we were so excited to have our Move Out for Hunger event featured in a video by Upworthy. We joined forces with national non-profit Move Out for Hunger to collect unused, non-perishable food from students on move-out day at five college campuses. When students move out of their residence halls, they tend to throw a lot of things away, including perfectly good food. In our first year doing this collaborative event, we were able to recover more than 5,000 pounds of food, which translates to 4,000 meals. We’re looking forward to making this event even bigger next year! We’re also so proud of the launch of our first-ever Student and Alumni Advisory Board. We’ve assembled a group of 13 dedicated and passionate leaders who will support our movement by providing feedback to FRN National, supporting fulfilling the work of FRN’s three-year strategic plan, of which we are currently just entering into the second year, and engaging leaders across our network. They’re set to make our student-led movement stronger than ever this year. And as we look toward the future of our work, we know that we have to continue bringing folks into the movement. Our work wouldn’t be possible without the hardworking and consistent volunteers who donate their time to fight food waste and feed people in need. We recently launched our “Find More FRNds” campaign. A “FRNd” in this instance is someone on a campus who commits to volunteering with the chapter. Find More FRNds has two purposes. First, to help students across our network build their volunteer pipeline and second, to share resources and tips on recruiting more volunteers. Working with a student population means that we need to constantly recruit new volunteers as people graduate, leave for study abroad programs, or take on new time commitments. As our movement continues to grow, we know that we have to invest in our best asset: people. One of the themes for the bWW 2017 Global Dialog on Waste is Collective Action. How do you think Collective Action relates to Food Recovery Network’s work? Who are the stakeholders that play in part in ensuring this collective action? Collective action is exactly what makes FRN’s work so dynamic. Being part of this movement means working together to move the needle on food waste and hunger. We at FRN know that while food waste and hunger are national — and truly, global — issues, many of the best solutions will come from those working directly on these issues — those at the frontlines. Creative solutions to these problems that work in California might not make sense for Iowa — and that’s okay. Collective action means that we all share the same fundamental understanding that there is a way to tackle this issue and commit our ideas, time, and resources to ending food waste and hunger in our communities. FRN is proud to partner with stakeholders across a number of sectors. And every stakeholder in our movement plays a vital role in the fight against food waste: from the students who lead recoveries to the university dining providers who work with them to the nonprofit partner agencies that ensure the surplus food gets to those who need it most to the financial supporters who are committed to helping our movement grow. We’re constantly working to build new relationships and bridge the gap between institutions of higher education and the communities they operate to foster community partnerships that will lead to a stronger, more inclusive food system for us all.